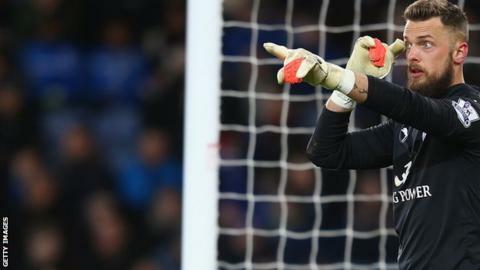 Nottingham Forest have signed goalkeeper Ben Hamer on a season-long loan deal from Premier League side Leicester City. Hamer, 27, joined City from Charlton Athletic on a four-year deal last term and made a total of 10 appearances. He kept three clean sheets in eight top-flight matches, including wins over Hull City and Aston Villa. Hamer started his career at Reading and joined Charlton after loan spells with Crawley Town, Brentford and Exeter.